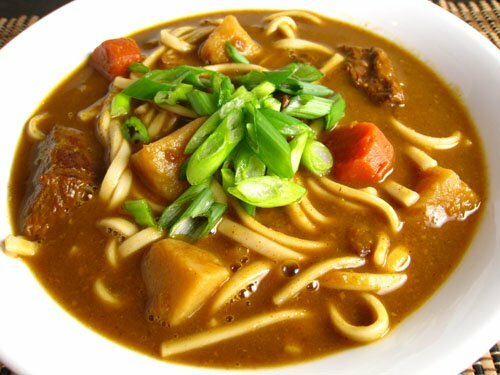 Udon is a thick Japanese noodle that is usually served hot with soup or stir-fried. There's even instant udon, but I prefer packaged ones that I can make myself. 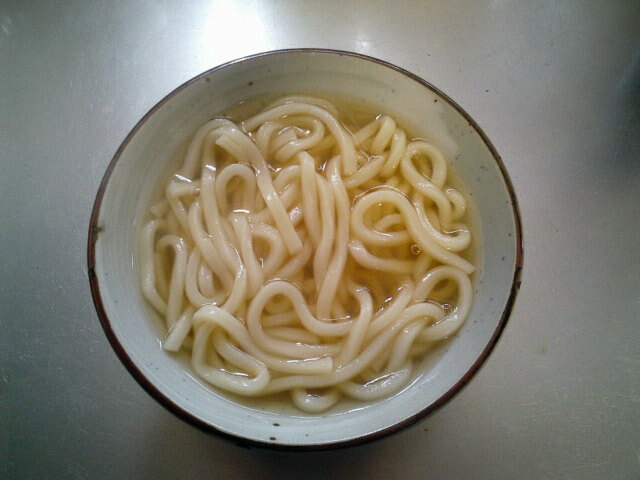 The broth for udon can be made many different ways, but the traditional broth is made from dashi, soy sauce, and mirin. Dashi subsitute and mirin can be bought at asian grocery stores, although I usually skip the mirin. Simply follow the instructions to make the dashi broth and put your prefered amount of soy sauce. If I don't have dashi I would even use chicken broth and a touch of seseme oil. The best thing about udon is that so many things compliment it. The simplest of which is green onions, tofu (fried or not), or vegetables. Others include tempura, eggs (raw or hard boiled), seafood, or basically any type of meat (usually sliced). The possibilies are endless! Udon is love. Its perfect on rainy days and its so comforting. Agree with you, udon is super versatile. Yummy too.